← Softly softly does it. This entry was posted in Pots in the sun. Bookmark the permalink. 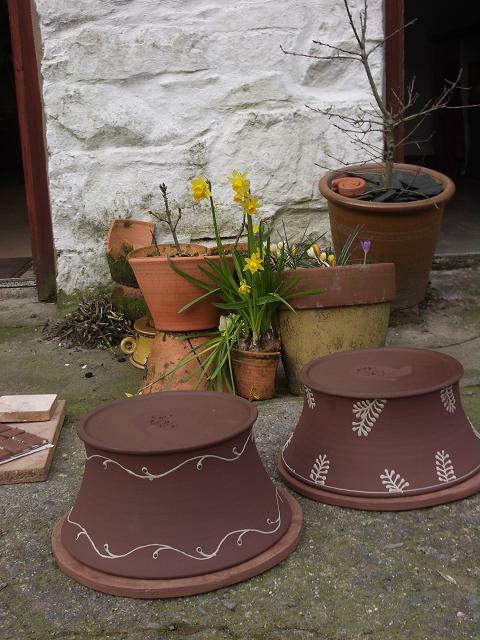 I particularly like the pot with the daffodil almost obscured by the bully pots at the front. Good to see the show is getting back on the road which allows a few cheeky comments!! Nice work, Hannah. Hey, responding to your comment a few weeks ago about the Solway mud and Antarctic mud, I’d love to see how anything like that fires. I’ll trade you some of the Antarctic stuff, if you’re interested. And another scientist friend gave me some more under-sea mud this morning. So there’s more experimenting to be done.